Superb durability and insulation -Our certified German TMT composite has a durability equal to teak, and system u-values which can be used in passivhaus projects. Air and watertight – The double/triple sealed doors have passed the highest test available for wind: Air permeability EN 12207 – Class 4 at +/-600 Pa and water tightness: EN 12208 – Class E1200. No repainting for 25-50 years in normal conditions. The paint on thermally modified timber composite lasts longer without maintenance than on timber-alu products, as the TMT composite adopts the characteristics of a composite or fibre-glass and do not extend nor retract when exposed to moisture or temperature. 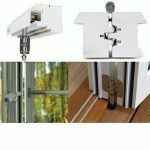 Slimmest profile available of any timber folding door -Only 56 mm per door frame giving a frame to frame width of 117 mm. Large openings -Up to 2800 mm height and 6000 mm width. 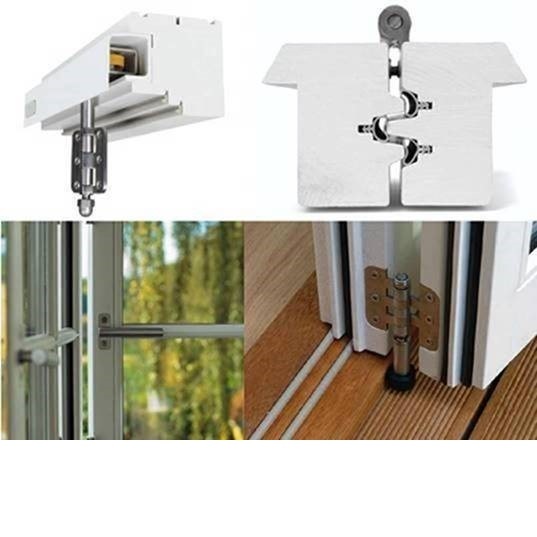 Highest quality ironmongery -All hardware is in Danish designed marine grade materials, so they will not rust even on a sea front location. Lacuna only manufactures folding doors, and uses skilled carpenters and CNC machines to give the precision, which is required for folding doors to work properly. Security tested to EN1627-30 and Pas 24. Delivered within 5-7 weeks and easy and quick to install.